Heat oven to 425°F. Line 15x10x1-inch pan with foil; place pork tenderloin in pan. In small bowl, mix remaining ingredients; brush over pork tenderloin. Bake 25 to 30 minutes or until pork has slight blush of pink in center and meat thermometer inserted in center reads 160°F. Let stand 5 minutes. Cut diagonally into slices. 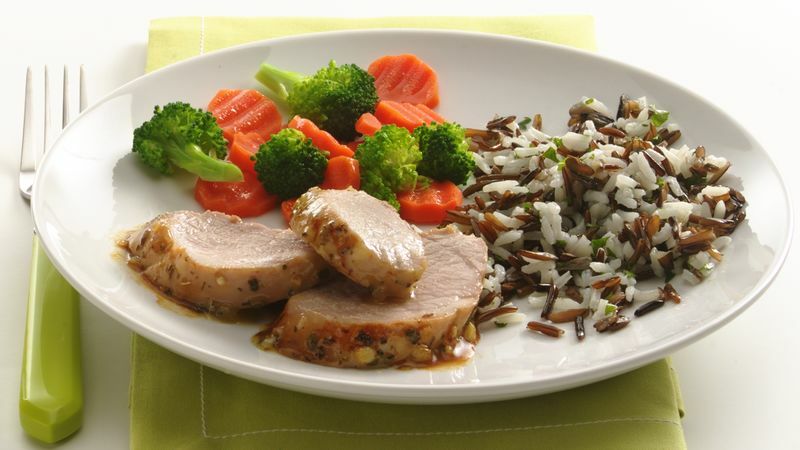 Because you are adding a tasty glaze to the pork, for the best results, be sure to purchase an unflavored pork tenderloin.